On the 9th of April my Family and I were very fortunate to attend a Free Young Talent Time Performance and Meet and Greet at the Sydney Family Easter Show. At the event we got to Meet all of the YTT Team/Cast who perform on the show each week. Plus they entertained us by performing 4 hits such as Jessie J's ' No body's Perfect'. It was so cool. They are all so talented and are very nice. Who ever attended the event got to hear them perform for free, then lined up and were given a piece of cardboard with a picture of the cast and you went around and got all of them to sign it. I was even lucky enough to also get a picture with Georgia May, Tia and Michelle. They are really nice and down to earth people. Sean and Tyler even stayed around after to enjoy what the Sydney Family Show had to offer. Don't get the Sydney Family Easter Show confused with the very popular Royal Sydney Easter Show. The Sydney Family Easter Show is free entry and very fun and a much cheaper offer, especially for big Family's. The day was heaps of fun and many eager fans attended the event. It was great quality for a free affair. I like all of them but my favourite Team Member is Georgia May and i also really like Tia and Lyndall. 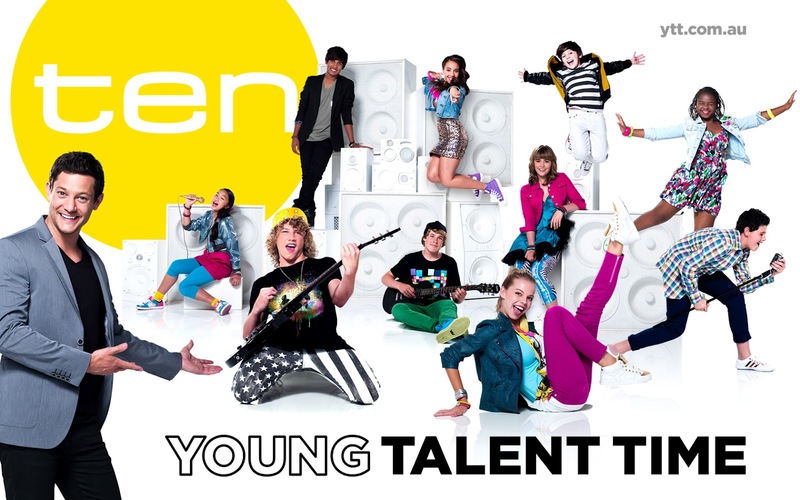 Young Talent Time is currently in it's semi finals and comes on at 7:30 on Friday's on Channel 10.